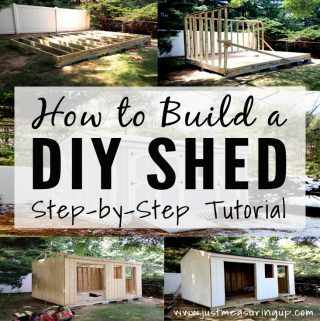 Looking to check a few backyard projects off your list this spring? 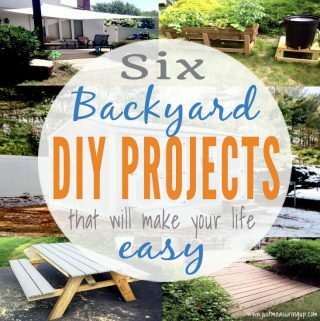 These six projects are not only cost-effective, but will simplify your life. 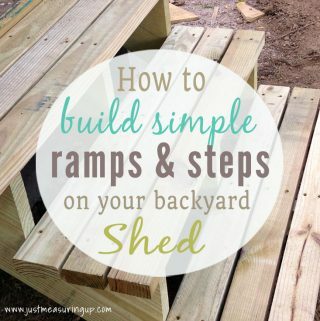 You’ll be wondering why you didn’t do them sooner! 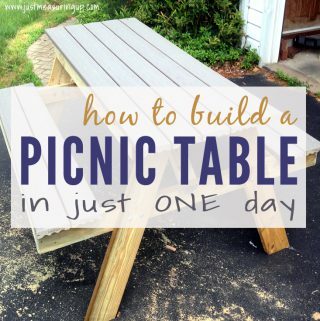 With the weather warming up, it’s time to start planning for spring! 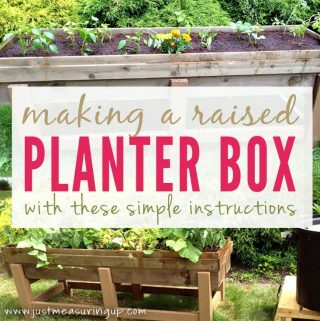 Learn how to make your own raised planter box with this easy tutorial, along with our tips and tricks. 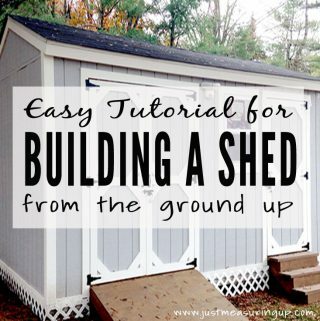 It’s perfect for raised organic gardening. 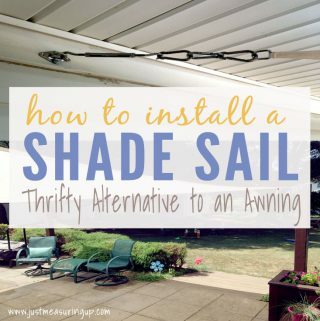 To give their backyard patio some summer shade, Ash attached a modern shade sail to the house using two wooden posts. Here he shares his experience including an uphill battle with a 500-pound rock. 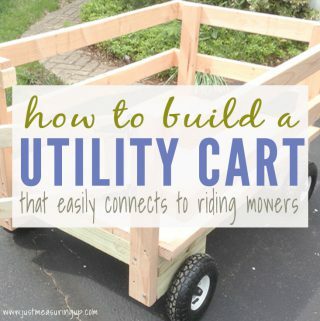 Ash shares the details of how he built this custom wagon for his riding mower. He carefully explains everything from basic construction to assembling the axles to hooking up the hitch connection. 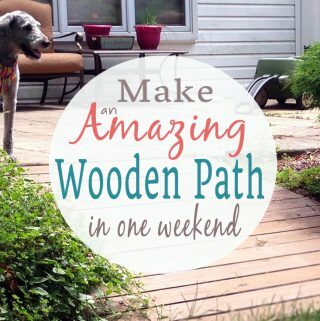 Thinking about tackling a wooden pathway project? 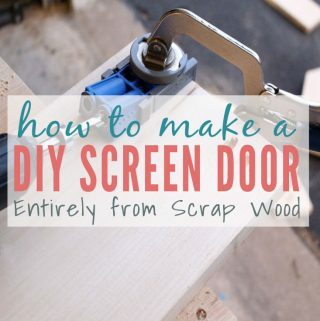 It’s easier than you think. 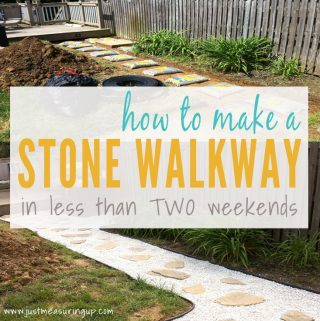 With just a few hours of work, Ash created a perfect path from his patio into the backyard. Not only was it a quick fix, but it’s one of our most functional. 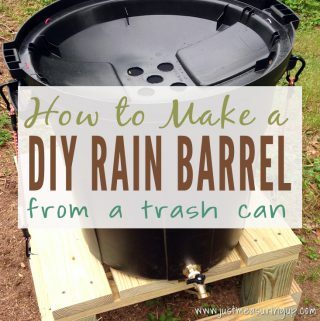 Ash shares how he creatively used a trash can, a spigot, some wire, and a few bungee cords to create this rainwater reservoir. The stand, which doubles as a seat, was made from leftover wood from the shed.